George H. is drinking a Panorama Pilsner by El Rancho Brewing Company at El Rancho Brewing Company, Inc. Faith H. is drinking a Locals Only by El Rancho Brewing Company at El Rancho Brewing Company, Inc.
Aaron S. is drinking a Valhalla by El Rancho Brewing Company at El Rancho Brewing Company, Inc.
Earned the Hopped Up (Level 35) badge! Earned the I Believe in IPA! (Level 51) badge! Sarah W. is drinking a Because Science by El Rancho Brewing Company at El Rancho Brewing Company, Inc.
Vern N. is drinking an Off the Grid by El Rancho Brewing Company at El Rancho Brewing Company, Inc.
Dan A. is drinking a Pina Coladaburg by El Rancho Brewing Company at El Rancho Brewing Company, Inc.
Oh damn. This is good. This is dangerous. This is a bad beer (in a naughty way). Almost tastes like an island mixed drink. Gulp. Gulp. Vern N. is drinking a Because Science by El Rancho Brewing Company at El Rancho Brewing Company, Inc.
Earned the Bar Explorer (Level 41) badge! Earned the Riding Steady (Level 25) badge! Earned the Draft City (Level 22) badge! Earned the Ye Olde Pub badge! Dan A. is drinking a Valhalla by El Rancho Brewing Company at El Rancho Brewing Company, Inc. This is the best take on a Sahti I've tried. Very smooth. Definitely has that gin flavor. Smells like the Chesapeake Bay (likely the oil). Earned the Power Month badge! Earned the Cheers to Independent U.S. Craft Breweries (Level 20) badge! Earned the Riding Steady (Level 2) badge! Earned the Land of the Free (Level 89) badge! Dan Genrich is drinking a Because Science by El Rancho Brewing Company at El Rancho Brewing Company, Inc.
Dan A. is drinking a Double Tap by El Rancho Brewing Company at El Rancho Brewing Company, Inc. Very pine. A touch dank. Dan A. is drinking an Argo by El Rancho Brewing Company at El Rancho Brewing Company, Inc. Pretty gentle for a 9.5 ABV beer. The chardonnay really mellows it out. Grape nose. Earned the Taster, Please (Level 5) badge! Earned the Fields of Gold (Level 2) badge! Aaron S. is drinking a Gone Astrsay Ipa by El Rancho Brewing Company at El Rancho Brewing Company, Inc.
Earned the Cheers to Independent U.S. Craft Breweries (Level 8) badge! Earned the I Believe in IPA! (Level 8) badge! Earned the Paint the Town Red (Level 4) badge! Evan C. is drinking a Double Tap by El Rancho Brewing Company at El Rancho Brewing Company, Inc.
Evan C. is drinking a Pina Coladaburg by El Rancho Brewing Company at El Rancho Brewing Company, Inc.  Purchased at El Rancho Brewing Company, Inc.
ali g. is drinking a Pina Coladaburg by El Rancho Brewing Company at El Rancho Brewing Company, Inc.
David B. is drinking a Valhalla by El Rancho Brewing Company at El Rancho Brewing Company, Inc.
Earned the Riding Steady (Level 3) badge! Earned the Wheel of Styles (Level 12) badge! Tim is drinking a Because Science by El Rancho Brewing Company at El Rancho Brewing Company, Inc.